Are you looking to freshen up your hair color? Money makes the world go ’round, but not everyone has a high budget for their hair color. When picking the right hair color salon for you, it’s important to consider how much you’re willing to spend. The average cost of a permanent hair coloring for women is around $85 and up. Keep in mind that you can still find places that will perform hair color for much less. However, as with anything in life, you could get what you pay for. Generally, the more you spend on a hair color service, the better the quality of the hair dye. If you’re not confident in what hair color you want, you can look into semi-permanent hair dyes. Semi-permanent hair dye stays on your hair for less time and generally costs around $30 less. Nearly every product or service in existence has been reviewed online somewhere and salons are no different. Reviews for hair salons can be found on Facebook, Yelp, and, more often than not, the salon’s website. Instagram is also a great way to check out a hair color salon. A lot of salons will post before-and-after pictures of their clients so you can see firsthand how great their hair coloring skills are. Clients themselves will also post pictures of their new do’s and tag hair salons in them. Check online for reviews left by past customers to see what they did and didn’t like about a hair salon. Often, these reviews will also mention specific stylists and how they performed as a hairdresser. This will help you not only pick a salon but your personal hair expert as well. Go into a few salons you’re considering and take a look around their business. Does the salon seem hygienic to you? Are there towels strewn across the floor? Do they sweep up hair right after cutting it or leave it lying around for hours? These questions are important because you want a hair color salon that uses proper hygiene. When you get your hair done you will have unfamiliar brushes, combs, scissors, and towels on your hair. You want to be positive the salon is clean. A hair color salon should always sanitize its combs and brushes, launder towels regularly, and sweep up hair after cutting. While you’re checking out the cleanliness, also take note of how the hair stylists interact with each other and with clients. You want a stylist who is friendly, warm, and open to what you have to say about your hair goals. Ask your friend who just got amazing highlights who did her hair. It sounds so simple, but referrals are a great way to ensure you will find a hair stylist you like. Chances are, you’ll get more honest feedback from someone close to you. Also, if you like your friend’s haircut or color and go to the same stylist, you can refer back to your friend when discussing your coloring ideas and they will know exactly how to do your hair. If you can, try to choose a locally-owned salon rather than a large chain salon. Shopping locally is a great way to boost the economy. It also helps you show support and give back to your community. Buying local products and services also creates more jobs in and around your area. Besides, local businesses generally take more time and put more care into producing quality products and services. This is because they don’t have the power of a large corporation behind them. Each and every customer is valuable to a local business. Whereas at a big chain salon, customers are a dime a dozen. When it comes to getting your hair colored, a picture really is worth a thousand words. Describing to a hair stylist who has never seen the television show “Friends” that you want “Rachel Green’s exact shade of blonde from Season Two” isn’t going to do anyone any good. Bring a photo of your ideal hair color to your stylist. This will give them an exact idea of what you want, and enable them to tell you if that hair color is attainable. Sometimes certain hair colors aren’t feasible in one try. For instance, going from raven black hair to platinum blonde hair will take more than one salon visit. Hair stylists are professionals who have been coloring hair for years. They can honestly recommend colors that will compliment your complexion. If you bring a photo to your salon visit, your stylist won’t have to guess at what you want. You will have the evidence in front of you. Looking for a Hair Color Salon? Try Us Out! 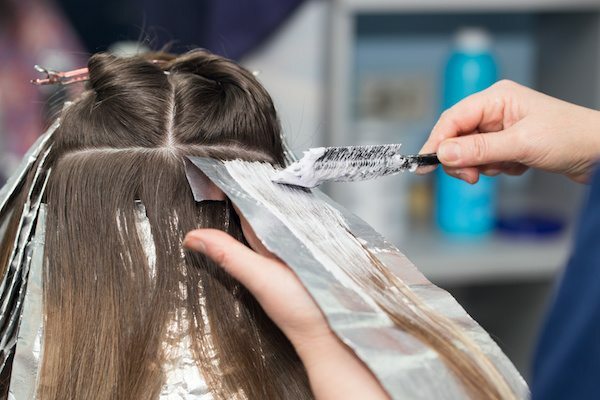 After you’ve scoured through online reviews, checked out salons for cleanliness and printed out your dream hair picture, it’s time to make your decision. Choosing a new salon is a bit like taking a leap of faith. It’s impossible to be sure that you will like your hair color salon until you try it! Here at Beautiful Grace Salon, we offer top-notch hair services from state-of-the-art hair stylists. Whether you need a cut, color, or makeup application, we are the salon for you. If you have any questions about these tips or want to book your appointment with us today, please contact us!